Home » Lifestyle News » Time to switch to green coffee! Time to switch to green coffee! Can't start your day without a cup of coffee? But worried about the caffeine and calories intake? Well, let your worries take a back seat, as you enjoy a wonderful cup of green coffee! Green coffee beans are rich in antioxidant. It reduces the damaging effects of free radicals in our body and takes care of our overall health. This coffee contains chlorogenic acid, which is popularly known as metabolism booster. It increases the Basal Metabolic Rate (BMR) of our body to a great extent, which minimizes excessive release of glucose from the liver into blood. Its beans contain large amount of kelp. Green Coffee beans is loaded with vitamins and minerals. It helps in maintaining the levels of nutrients in our body. These green beans are also capable of treating Type 2 Diabetes successfully. Their extract is known to lower high levels of sugar in our bloodstream, while accelerating weight loss. Both of these are essential for curing Diabetes Mellitus Type 2. Low-Density Lipoprotein (LDL), also known as 'bad cholesterol', is the main culprit that makes us vulnerable to deadly cardiovascular disorders including cardiac arrest. 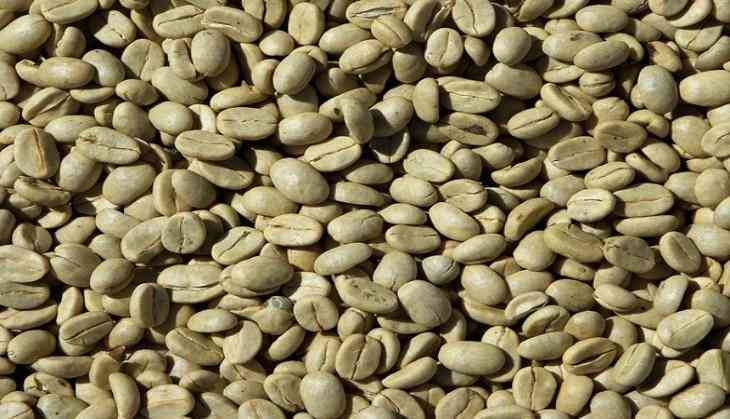 The green coffee beans have the capacity to check your cholesterol. This coffee keep controls your blood pressure. High blood pressure can lead to the issues like stroke, heart failure, chronic renal failure, etc. It is better than the regular coffee, which contains 7-9 percent caffeine. This keeps you active 24x7!